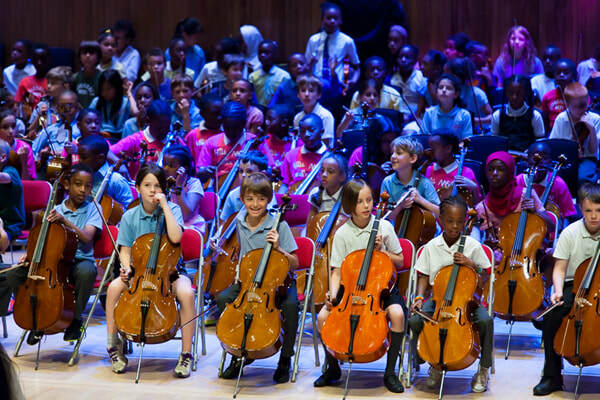 The annual Lambeth Musitrax Festival celebrates the musical achievements of over 960 year 4 pupils who have completed one year of Whole Class Ensemble Tuition. During two days of concerts, students from fifteen primary schools will perform together to demonstrate the scope of musical skills they have acquired after just nine months of learning. The performances will offer a step by step guide to how the students learn their skills in the classroom and how Musitrax prepares them for the next stages of their development as young musicians. ​The Musitrax programme is delivered to around 3500 Lambeth school children every week from reception to year 6.